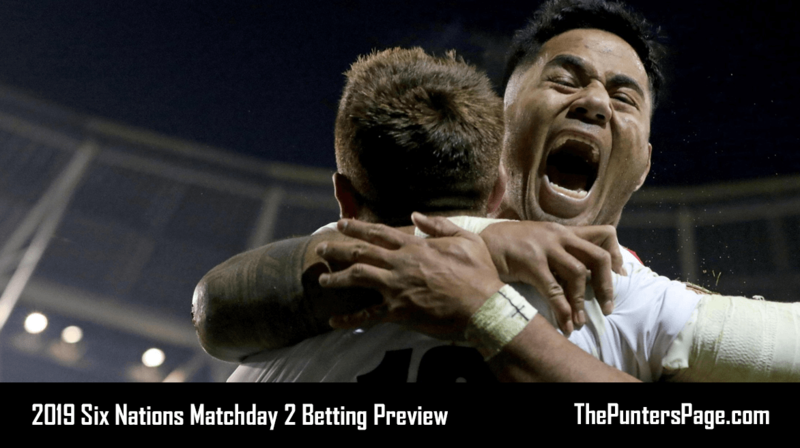 In this article we explain all you need to know about the BetVictor Golden Goal promotion including a step-by-step guide on how to play, our own tips and predictions as well as the key terms you should know about. After the success of their Euro 2016 Million Pound Goal campaign, BetVictor decided to run a permanent promotion that runs on a weekly basis which they’re now calling ‘Golden Goal’. 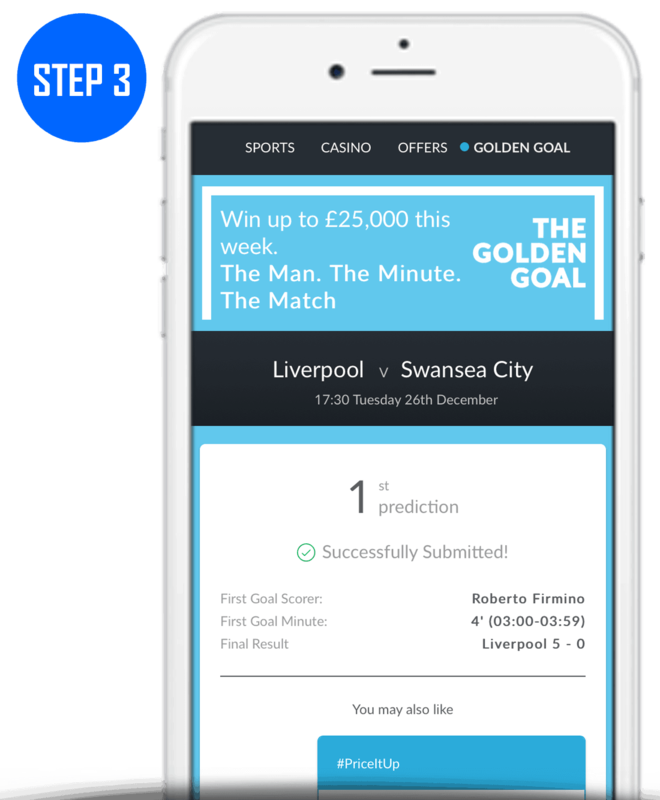 What Is The BetVictor Golden Goal? 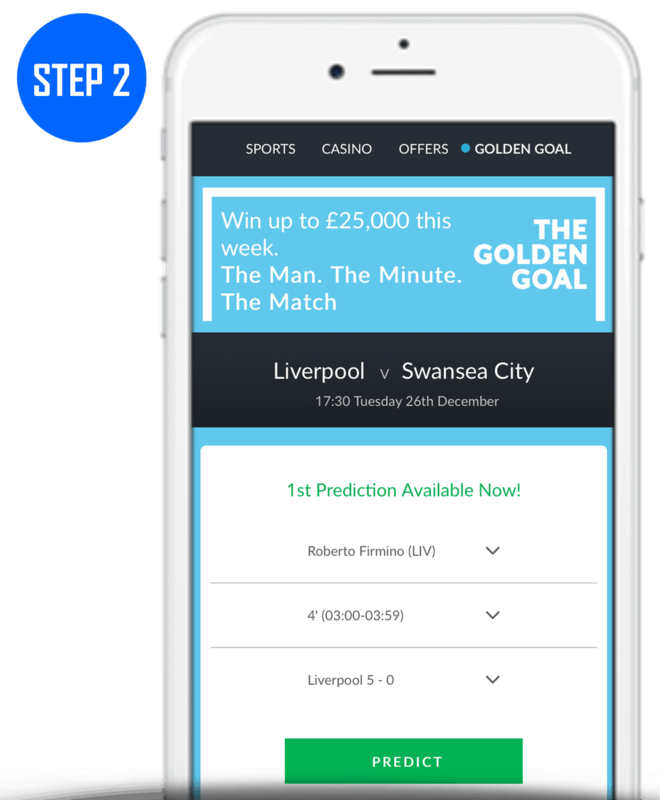 Golden Goal is a free-to-play game exclusive to BetVictor that requires punters to correctly predict the minute, first scorer and correct score of a pre-selected fixture. There is a guaranteed jackpot of £25,000 to be won every week which will increase by £25,000 for every week there is no winner. Once the Golden Goal has been won, the prize pool will begin again at £25K. If there is more than one winner the prize money will be shared. Customers receive one completely free Golden Goal entry each week and can earn a second by betting £25 across any sports market or casino game in the week building up-to the game and a third for betting £50. You can submit your Golden Goal predictions online or via the BetVictor app which is available to download for free on both Android and iOS mobile and tablet devices. 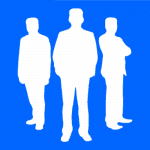 Golden Goal is open to all customers. 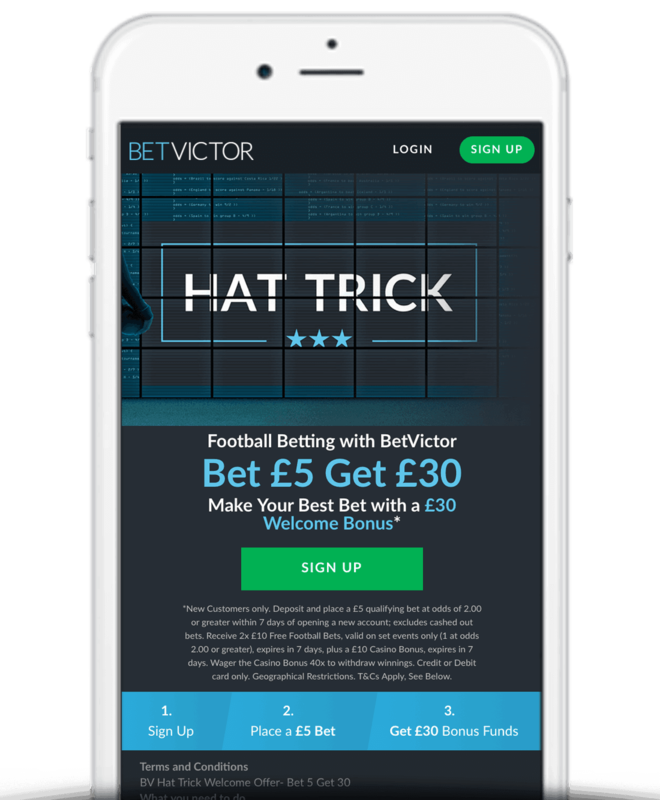 Register today and claim BetVictor’s Bet £5 Get £30 in free bets sign up offer. Just place a £5 bet at odds of 1/1 or greater and BetVictor will credit you with £20 in free bets and bonuses, as explained below. Alternatively there are a number of BetVictor promotion codes you might want to check out. Step 1) Click here to head the the BetVictor Golden Goal landing page. Step 2) Select your player, minute and correct score. Step 3) Confirm your entry by clicking ‘Predict’ and you will receive a confirmation that your prediction has been submitted. Note: Once confirmed, your entry cannot be changed so make sure you are 100% happy. The table below contains details of the next Golden Goal fixture, our prediction for the minute, first goalscorer and correct score as well as the prize pool. Open to all BetVictor customers. One free Golden Goal entry per customer per week. Guaranteed weekly prize of £25,000. Winners contacted by e-mail and/or telephone within 2 days of BetVictor posting the result on their website. Prizes credited within 5 days. In the event that there are multiple winners then the prize will be split evenly. Whenever BetVictor run promotions, they tend to be very good and Golden Goal is just another example of that. This is not a gimmick or a scam – if your prediction is correct you will win a share of a guaranteed jackpot of 25,000. Furthermore, the fact of the matter is that it costs absolutely nothing to enter and so there is no excuse for you not to get involved. Regardless of whether you use our tips and predictions or decide to go with your, who wouldn’t want to win £25,000?